Left, no flash. Right, with flash. I like to save some money, and I need to shake up my hair do for the cooler seasons. Now being ginger, I was tempted to go back to a dark brown/black, but couldn't bring myself to take the plunge, so I thought I'd go ahead with an ombre. I had ombre hair a few years ago, where the ends were a bright blue - But I had to bleach my hair a lot and it just ruined it! I decided to ombre my hair again, and this is how I managed it. I loved being ginger, so I was hesitant to dye it! 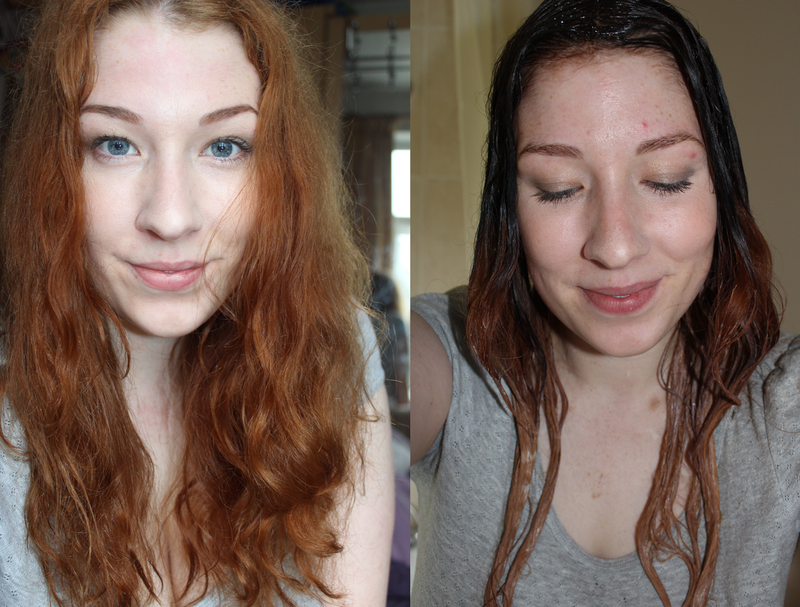 I used a semi-permanent hair dye from L'Oreal in Dark Chocolate. This looked really pretty, and gave me a dark brown hue with some subtle gold tones. I used a dye brush to apply the dark shade at the top of the hair, about a third of the way down. 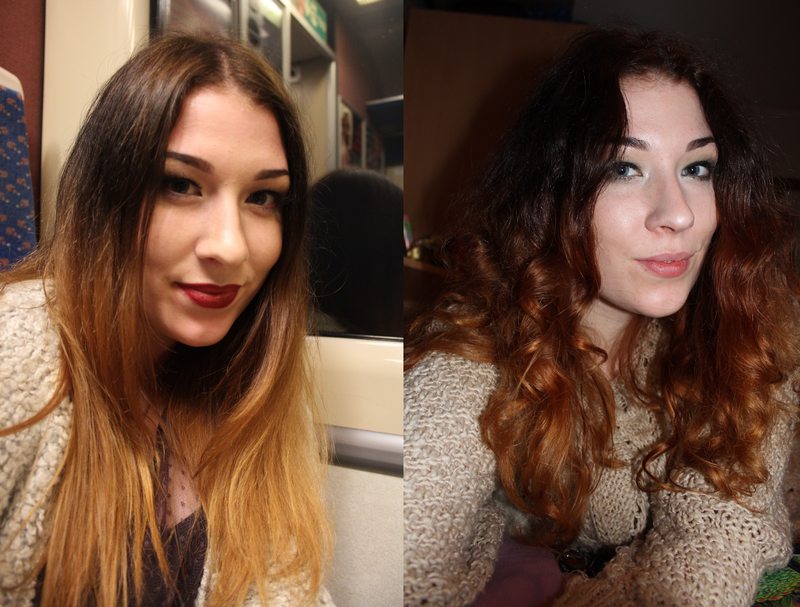 I then used L'Oreal Ombre No1 over the tips, leaving a gap in the middle for the natural hair to give a ombre look. I left the whole lot on for only two minutes, washed off, then straightened. It really was that easy! I'd get someone to help you to get round the back as that will be a lot easier. I really love how it looks, and I've been rocking this for a few weeks now - I wonder what will be next on the hair list for me! What is your Autumn hair colour? It's beautiful! Your hair is so lovely and long, I'm jealous! Thank you! I was worried it wouldn't turn out as good! love this, it turned out wonderfully!